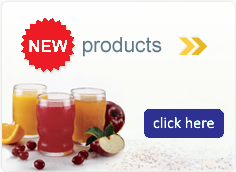 San-J Orange Sauce brings a delicious orange flavor to all of your favorite dishes. You can now make Asian style Orange Chicken easily and at home. It's also a great glaze on chicken, ribs, shrimp or tofu. 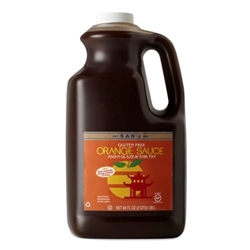 San-J Orange sauce is perfect as a stir-fry sauce on your favorite meats and vegetables; and perfect as a dipping sauce on spring rolls and dim sum. Ingredients: Organic Sugar, Water, Tamari Soy Sauce (Water, Soybeans, Salt, Alcohol), Orange Juice Concentrate, Rice Vinegar, Apple Cider Vinegar, Tomato Paste, Honey, Arrowroot, Garlic Powder, Canola Oil, Xanthan Gum, Red Pepper.